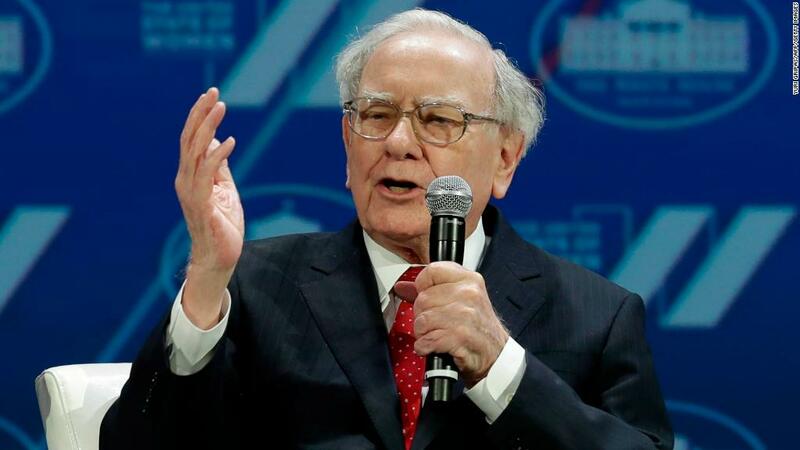 Warren Buffett reportedly offered to invest about $3 billion in Uber this year, but negotiations fell apart. Bloomberg first reported the news on Wednesday, attributing the revelation to unnamed sources. Buffett later told CNBC that his company Berkshire Hathaway "had discussions with Uber." Uber declined to comment for this story, and Berkshire Hathaway (BRKA) could not immediately be reached for comment. An endorsement from Buffett may have been particularly helpful for Uber as it works to reform its image following allegations of a culture of sexism and harassment within the company. Buffett told CNBC that he's a "great admirer" of Uber's new CEO Dara Khosrowshahi, who took over last year amid the turmoil. Interest from the famed investor offers a boost to companies. When Buffett recently told CNBC that his company bought about 75 million shares of Apple (AAPL) stock during the first three months of the year, Apple stock climbed 4%. That day, the company closed at an all-time high. Buffett said that Apple is "an amazing business" and an "unbelievable company." In February, when Berkshire took a $358 million stake in Israeli drugmaker Teva Pharmaceutical (TEVA), shares of the company spiked 7%. Investors also pay attention when Buffett unloads stock. Recently, he sold off shares in GE (GE) and IBM (IBM). An investment in Uber would have been notable in part because Buffett was relatively late to investing in Apple and tech stocks overall. The startup said last week that it posted a $2.5 billion profit in the first quarter after years of mounting losses. However, the impressive figure was almost entirely the result of Uber ceding two of its operations abroad to rivals. Buffett didn't report his first purchase of Apple shares until two years ago, when he bought 9.8 million shares of the company's stock. He has added to those holdings since. Apple is now one of Berkshire's largest holdings. — CNN's Chris Isidore and Seth Fiegerman contributed to this report.